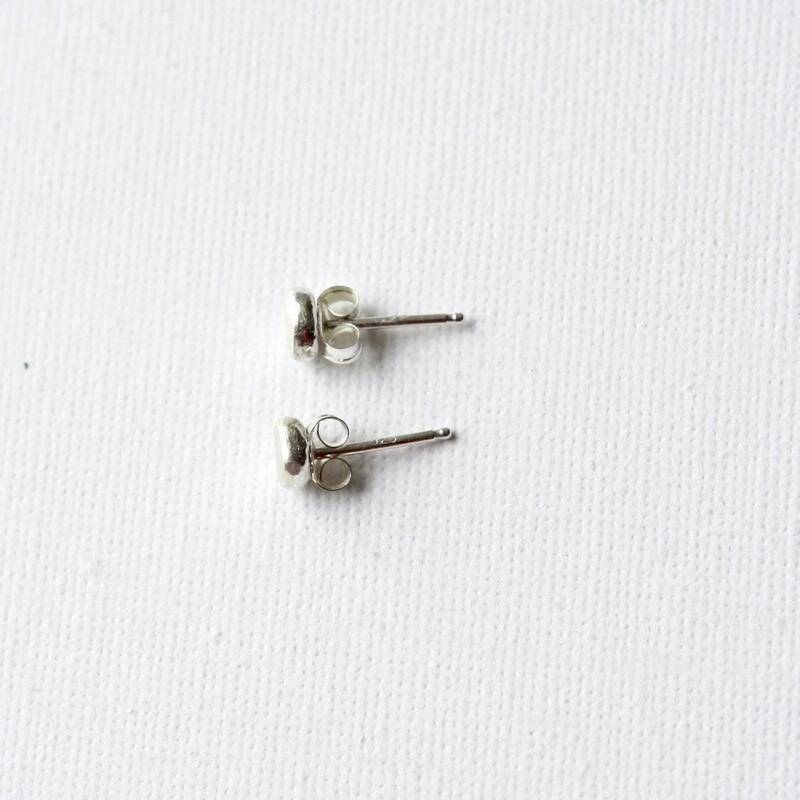 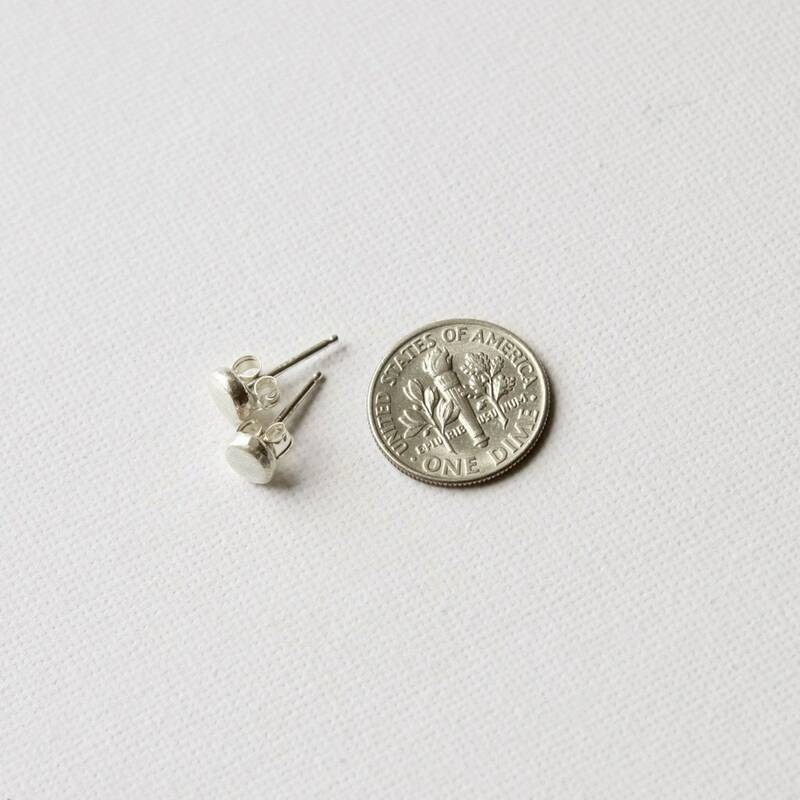 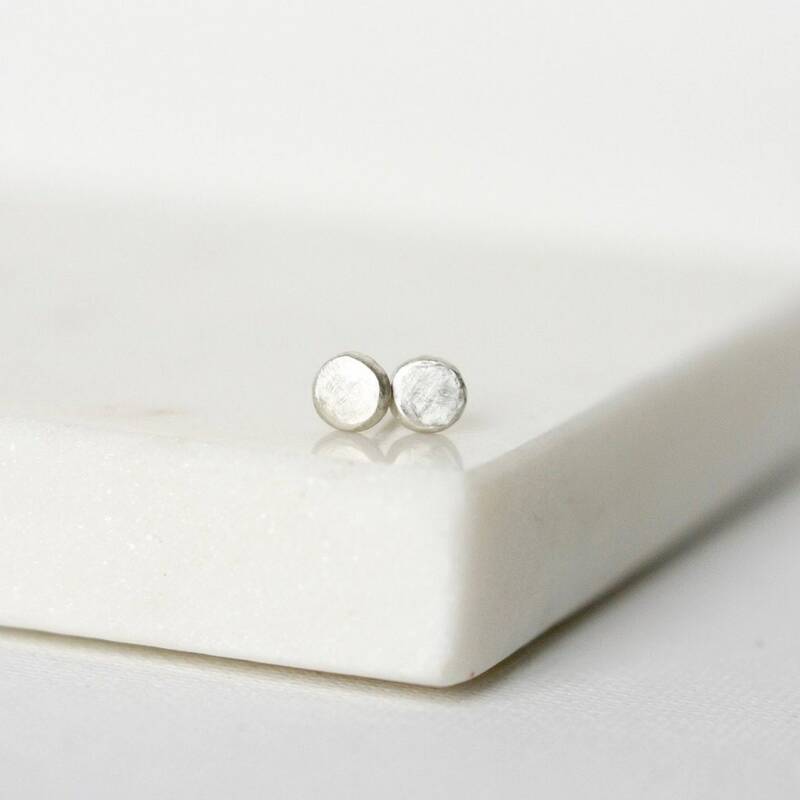 Dainty and minimal, these sterling silver studs are a fantastic jewelry staple. 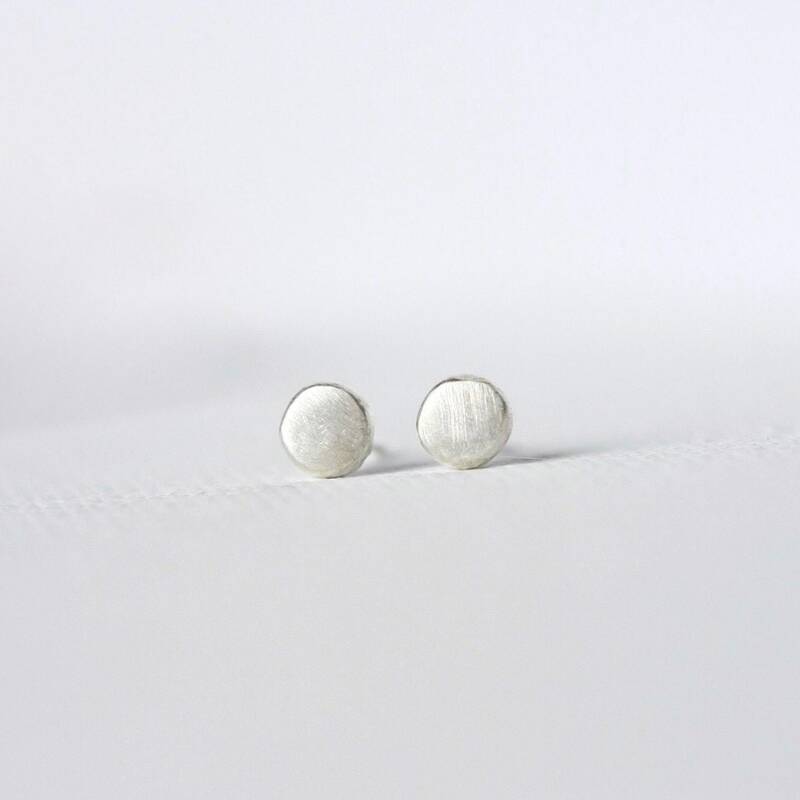 The 5mm circles are made from Thai Hill Tribe Silver and have been brushed for texture and a subtle sheen. 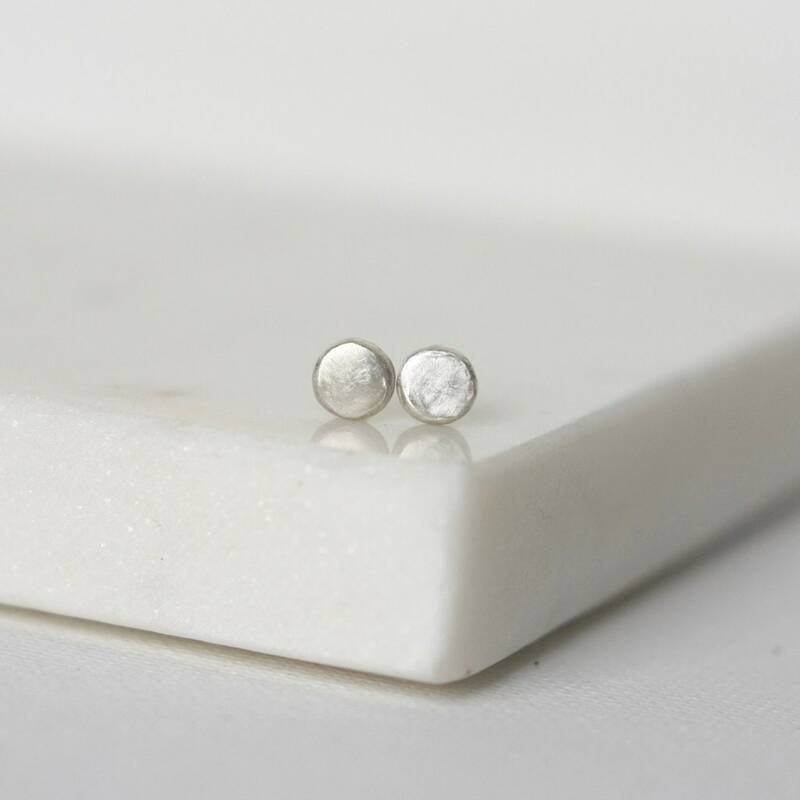 These studs are great on their own or paired with other piercings; they're lightweight and really comfy to wear. 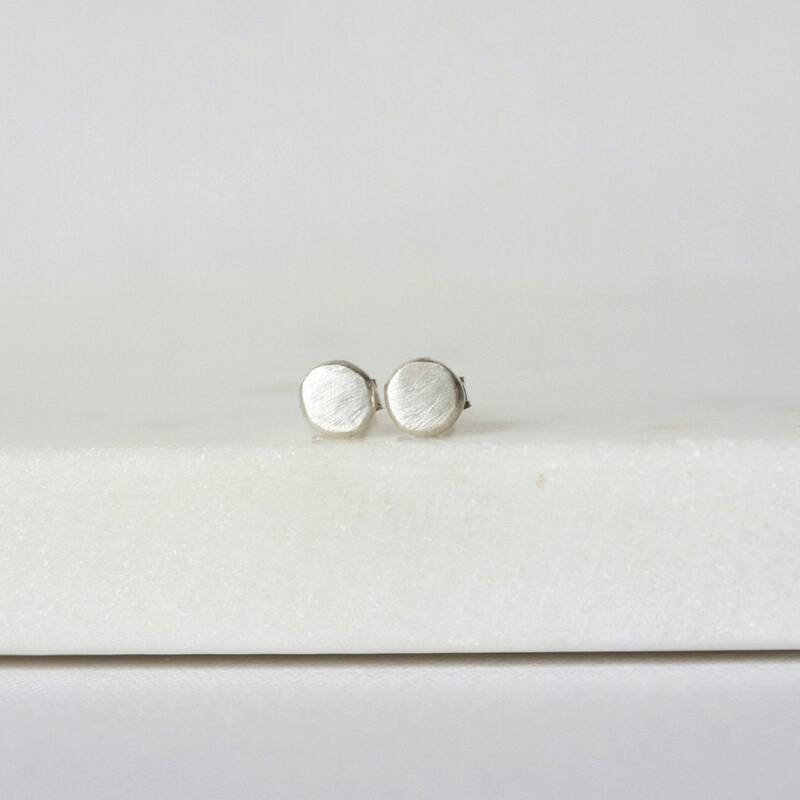 I've soldered sterling silver posts to the circles and they are held in place with sterling silver backings.